Having a standing workstation in the workplace is becoming increasingly popular among offices in Orlando, Florida, and elsewhere throughout the country. When offices have one or more standing stations, this allows employees to work there occasionally to stretch their legs, but still have their traditional workstation to utilize for the majority of the day. If you are looking for a standing workstation or two for your office in the Orlando, Florida, area, turn to the long-time professionals at ROF. When you purchase a standing workstation from ROF, you will have the opportunity to choose from either a piece that is either new, used, or refurbished. This will allow you to the opportunity to save up to 80 percent off of the original manufacturer’s price. Plus, since we have our own in-house refurbishment team, you can slightly customize the workstation to your liking. 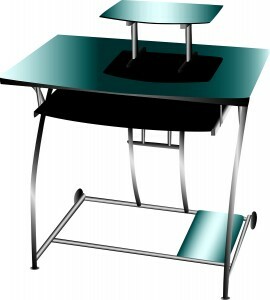 To receive a standing workstation or other type of office furniture for your business in Orlando, FL, from the top area professionals, contact ROF today. Also, feel free to stop by our warehouse and see for yourself the quality furniture we currently have in stock.